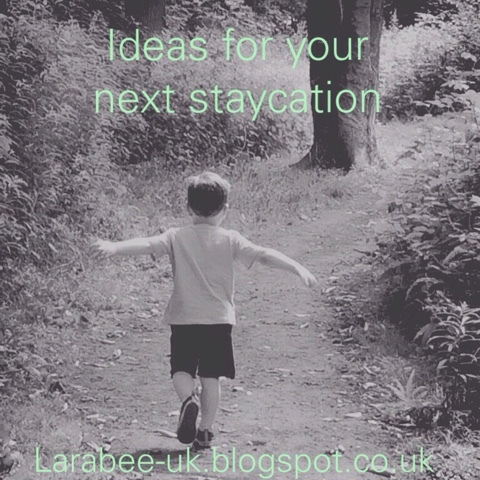 Planning a staycation this summer? Here are our top tips! You can see our staycation posts here. 1. Join your local town's facebook event pages, you'll find many places cheap or free. 2. Make the most of free museums in your area. 3. Check your local forestry commission timetables, many have things planned for kids through the holidays for free or a minimal price. 4. Local shopping centres often run events through the summer holidays, ours has a beach... And it's free! 5. Explore your local waterways, canals and rivers are bussing with activity at this time of the year. 6. Go geocaching! We had no luck with this, but I'm sure it's great if you find one! 7. Attend a history or ghost walk in your town, don't have one? Create your own! 8. Take a picnic and frisbee to a park. 9. Visit your local library for ideas and events. 10. Treat your home like a hotel, have breakfast in bed. All snuggle up for a movie night in bed. 11. Camp and cook in the garden. 13. Visit some local restaurants you've never been to. I think finding a local park for a picnic is one of the most fun things to do no matter what age. I want to try geocaching but if i am honest I'm not sure where to tart or what to actually do!